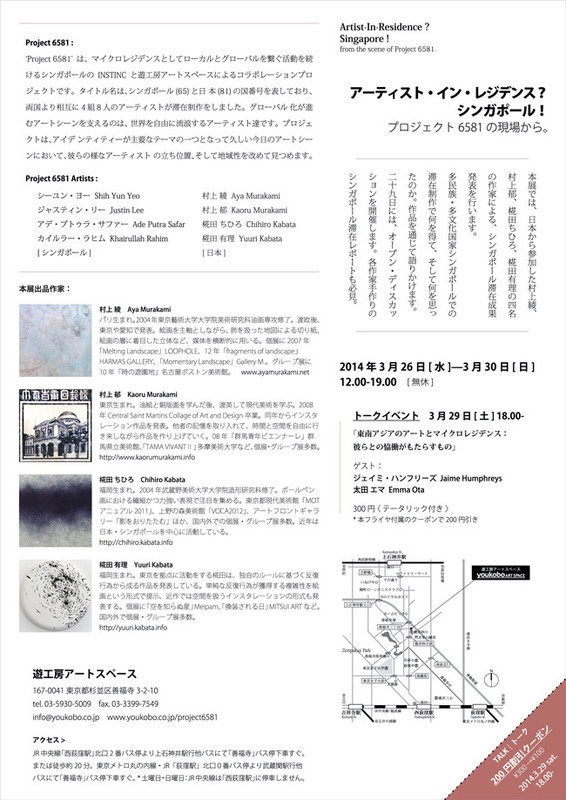 This exhibition presents the work produced by Kaoru Murakami, Aya Murakami, Chihiro Kabata and Yuri Kabata, during their participation in this project. What did they gain from their stay in the multi-cultural land of Singapore, and what thoughts did their experiences give rise to? 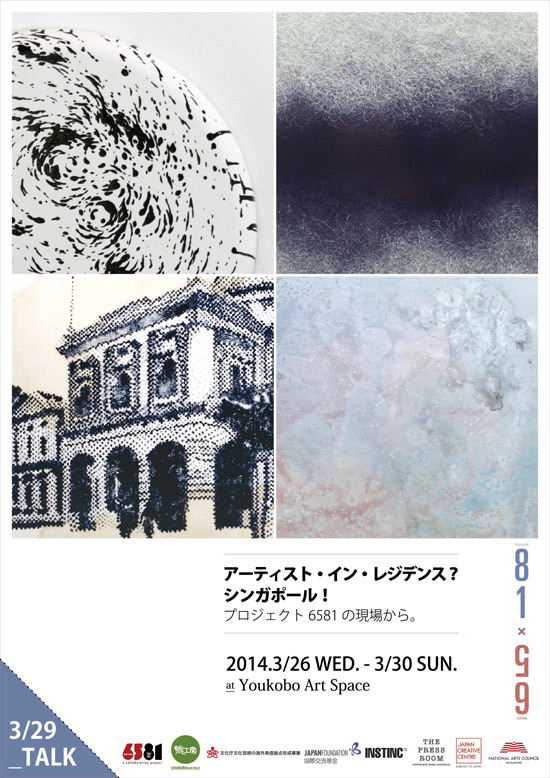 The artists speak of this through their works, as well through an open discussion to be held on 29th March.